You will be met by our Holiday Travel Zone representative at the Srinagar airport. He will assist and transfer you to the deluxe houseboat/hotel. In the afternoon you take a shikara ride on Dal Lake (optional) where you visit the floating vegetable gardens. While riding the Shikara's there are plenty of opportunities for bird watching with plentiful species including Kingfisher, Little Bittern, Common Pariah Kites, Grebe,Mughal Gardens, visiting Nishat Bagh built by Asaf Khan, the brother -in- law of Jehangir in 1632 AD, and Shalimar Bagh built by Jehangir for his wife empress Nur Jahan. All the gardens are situated on the banks of the Dal Lake with the Zabarwan hills in the background. Afternoon will be at your leisure for individual activities. Dinner and overnight in hotel. Morning leave for Gulmarg (Meadow of Flowers) 2730 mts. above the sea level. The distance of 60 kms will be covered in about 2 hours. Gulmarg has one of the best ski slopes in the world and highest golf course with 18 holes. If weather permits one can also have the view of Nanga Parbat, the naked mountain that is over 26,000 feets and dominates the entire region, also enjoy cable car (Gondola) for mountain ride upto khilangmarg. In the evening drive back to Srinagar. Overnight in hotel. Morning proceed for Sonmarg (Meadow of Gold). The distance of about 83 kms, will be covered in about 3 hrs. Sonmarg lies in Sindh Valley streamed with flowers and surrounded by mountains. Sonmarg is also the base for some interesting treks to the high altitude Himalayan Lakes. In the evening drive back from Sonmarg. Dinner and overnight in hotel. After breakfast proceed to Pahalgam (The valley of shepherds).The total distance is about 96 kms, will be covered in about 3 hours. En- route, visiting the saffron fields of pampore, Awantipura Ruins (1100 years old temple of Lord Vishnu built by the King Awantivarman), and enjoy the beautiful countryside.Drive throught the pine forests. Arrive at Pahalgam and enjoy Lidder stream. Later walk along pony trails with a magnificent view of the mountains. Overnight in Dlx House Boat at Srinagar . 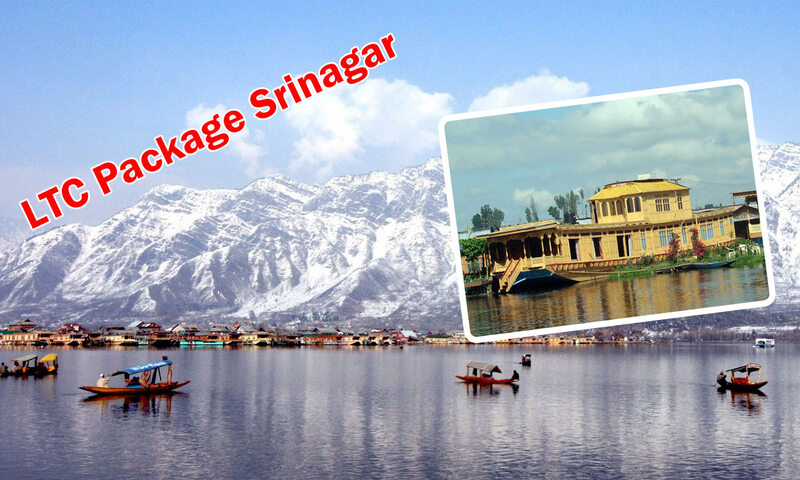 Return Home With Happy Memories………..
After breakfast, transfer to Srinagar Airport to board your flight with memorable experiences of Holiday travel Zone. 01 night in Dlx House boat with breakfast & dinner . Transportation N/Ac Tavera/Sumo at disposal for 05 days. Half day tour to Mughal Garden, Srinagar. Pick up and Drop at Srinagar .